(Tribune file photo) A TRAX train drives by as motorists wait at the crossing signs on 3300 South on Thursday, September 25, 2014. A woman was killed Monday evening after she walked — unknowingly and distractedly, it appears — in front of a TRAX train. 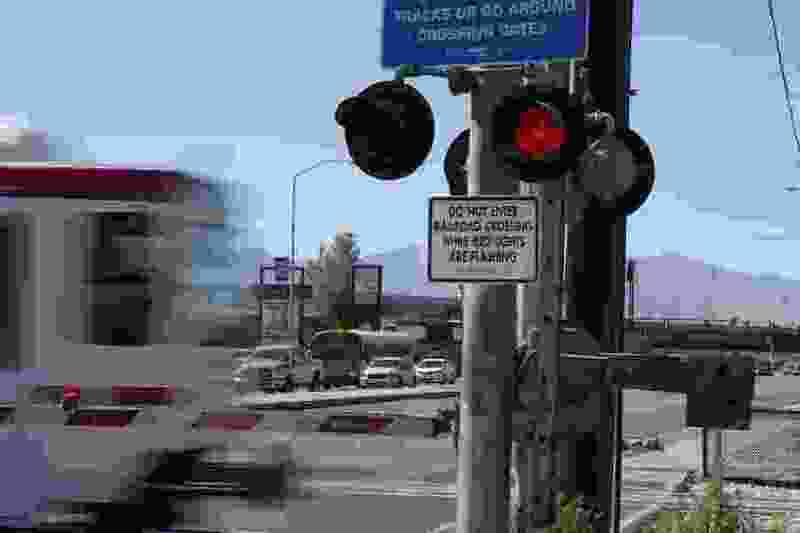 Marta Young, 66, was crossing the tracks near 5900 S. 300 West at an intersection, not a station, about 4:30 p.m., said Carl Arky, spokesman for the Utah Transit Authority. The gates were down and the lights were flashing, Arky added, but Young appeared not to notice, according to a police review of UTA surveillance footage. The woman, who lived in Midvale, had her head down and walked in front of a southbound train. Arky said officers do not suspect Young walked in front of the train intentionally and are investigating to see if she was wearing headphones or was otherwise distracted.